Conversational Italian series of books! After Caterina’s plane lands in Italy in the first chapter of the book, she takes a taxi to the main train station in Milan, where her cousin Pietro meets her. She is lucky to have a relative who can drive her in Italy to her final destination in Milan. 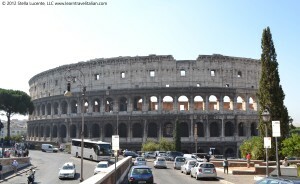 For those travelers who choose to rent a car in Italy and then must drive themselves, I have included tips to follow in the “Cultural Note: Drive Italy!” section in Chapter 6, which has been adapted for this blog. To listen to the dialogue from Chapter 6, when Caterina meets her cousin and he takes her on a (fictional) drive in Italy through Milan, go to the interactive dialogues on our website at learntravelitalian.com/interactive.html. Cultural Note: Drive Italy! 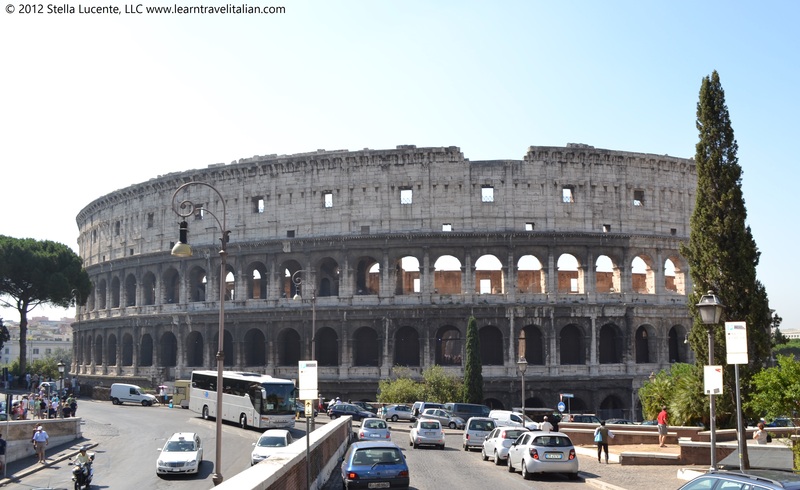 When in Rome, Drive as the Romans Do! The Italian railway system is the most efficient way to travel throughout Italy, especially for the tourist with limited time to spend. But for those for whom driving the autostrada in a Ferrari has always been a dream (see www.red-travel.com), or for those who have enough time to spend to really get to know the countryside (www.italylogue.com/agriturismo), here are a few tips about what it is like to drive in Italy. To rent a car and legally drive in Italy, some additional paperwork will need to be completed. Before leaving, call AAA to obtain an International Driving Permit (IDP), which is an official translation of a U.S. driver’s license. Both the IDP and your driver’s license should be presented at the time of rental, along with proof of insurance. Once out in your new vehicle, keep in mind that seat belts must be worn at all times, and when driving on highways, headlights must often be kept on during the day and at night (posted signs say, “in autostrada anabbaglianti sempre accessi”). Speed limits vary according to the type of road in Italy. For the autostrada, maximum speed is 130–140 km/h, and the left lane is used for passing only, whereas through traffic uses the right lanes. Beware of drivers who try to cheat this rule by straddling the lanes. It is not advised to copy this technique! Maximum speed on the main highways is 110 km/h and in the towns 50 km/h. Maximum speeds automatically decrease 10–20 km/h in rain and fog. The signs denoting maximum speed are round, with a red perimeter and black numbers in the center. If the speed limit temporarily decreases, such as when passing through a town, a new speed limit sign will be posted. When the restriction ends, the same sign will reappear with a diagonal slash through it. When driving into a town, a sign with the town’s name will appear; when leaving, the same sign with a diagonal slash through the town’s name will be posted. Stop signs are the same shape and color as in the United States, and they even say the word “stop” in English. However, Italian drivers treat them as flashing yellow—if they can, drivers often keep going! Keep in mind that (technically) there is no “right on red” in Italy. Also, beware of the upside-down triangle with a red perimeter, the dare la precedenza sign, which is found before intersections or roundabouts—you must give way to all other vehicles. A round sign with a red perimeter and white center means that the area is restricted to vehicles, and a similar sign with a white bar means no entry. A complete list of signs can be found online at www.slowtravel-italy.com. And finally, a word about parking. Parking signs are blue, and paid parking spaces are outlined in blue. Find the parking machine nearby, pay with cash or credit for the allotted number of hours, and put the ticket on your dashboard (as in many U.S. cities today). White spaces are usually free parking, but the disco orario, a small cardboard clock, needs to be placed on your dashboard and set to the time you arrived at the space—ora di arrivo. The posted sign will tell you how long you may remain. In some cities, however, the white lines may be reserved for residents, so beware. Also, do not park in front of driveways, where you may see a passo carrabile sign; block any type of side street; or double park, despite what you may see the Italians do! Adapted from Conversational Italian for Travelers, Chapter 6, “Cultural Note,” © 2012 by Stella Lucente, LLC. Thanks Minerva! 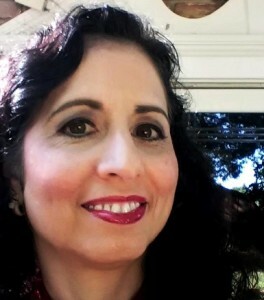 I hope you continue to read and like my posts!